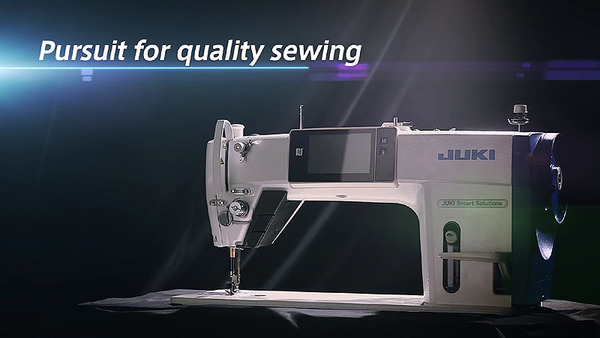 JUKI has digitalized the drive mechanism of the sewing machine which determines the "seam" quality, JUKI launches the new "direct-drive, high-speed, lockstitch sewing system with automatic thread trimmer" DDL-9000CF.This is the newest flagship lockstitch machine. 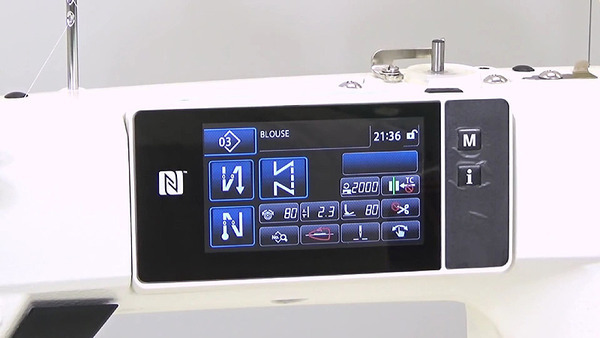 Digitalized vertically- and horizontally-driven feed mechanism allows easy adjustment of settings such as the feed focus only on the operation panel according to the material to be sewn.Thanks to the digitalization, Optimum adjustment values required to produce high-quality seams can be stored, on a material-by-material basis, in memory and can be reproduced with ease. 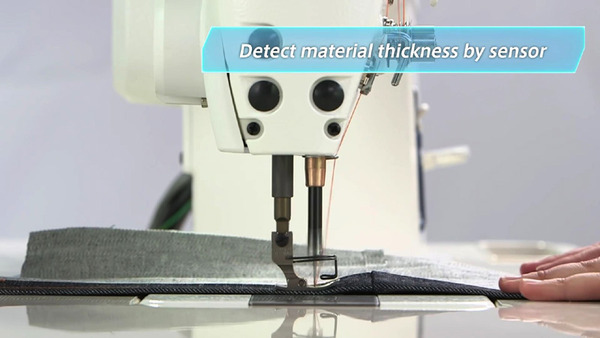 For sewing plants which produce diversified products using diversified materials, this feature is quite helpful to achieve stable seam quality. 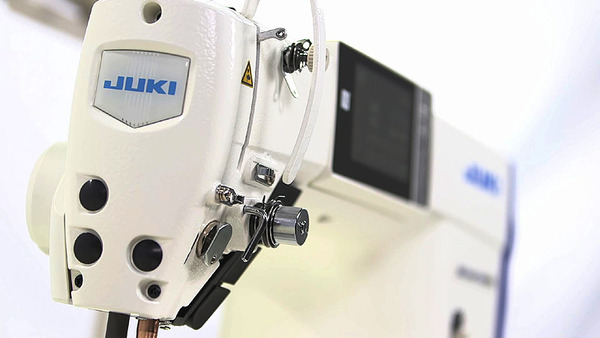 This is the newest flagship, fully digital type direct-drive, high-speed, lockstitch machine with an automatic thread trimmer. 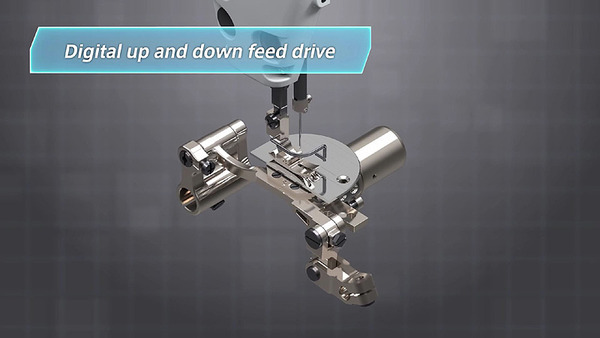 Digitalized vertically- and horizontally-driven feed mechanism allows easy adjustment of settings such as the feed locus only on the operation panel according to the material to be sewn. Thanks to the digitalization, optimum adjustment values required to produce high-quality seams can be stored, on a material-by-material basis, in memory and can be reproduced with ease. For sewing plants which produce diversified products using diversified materials, this feature is quite helpful to achieve stable seam quality. 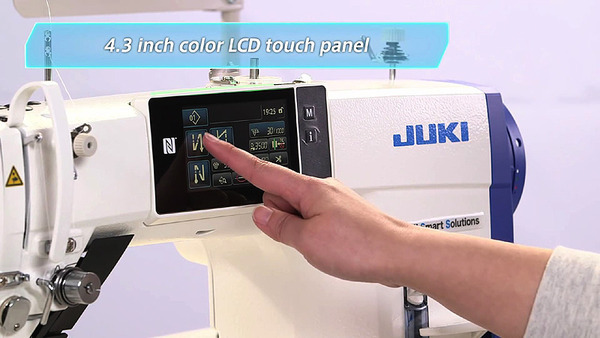 DDL-9000C is the world's first sewing machine which comes with a digital drive mechanism and facilitates data transfer through NFC technology. This model allows for numerical entry of key settings through the operation panel meaning many manual adjustments are no longer needed. For the DDL -9000CS (digital type) adjustment of the feed dog height, feed pitch and feed locus have been digitalized and are programmable. 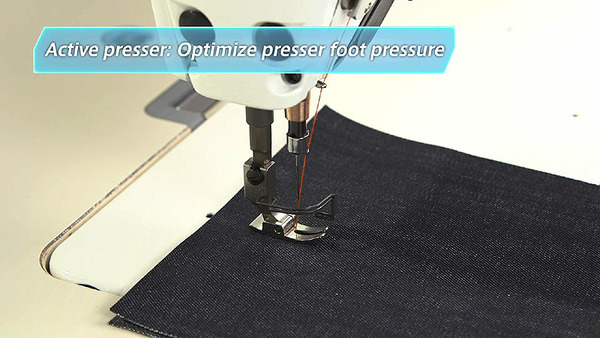 For the DDL-9000CF (full-digital type), adjustment not only of those mentioned above but also the presser foot pressure and needle thread tension have been digitalized. 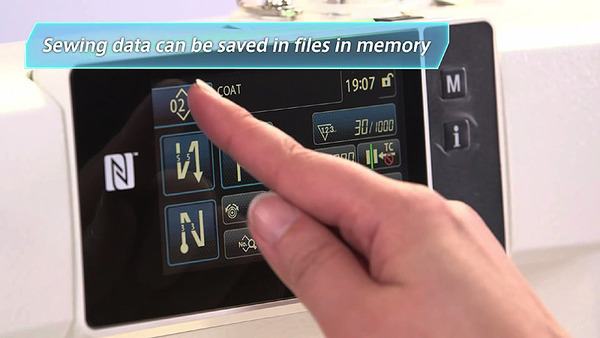 With this digitalization, optimum adjustment values required to produce high-quality seams can be stored on a material-by-material basis in the machine internal memory, or externally, and can be reproduced with ease. 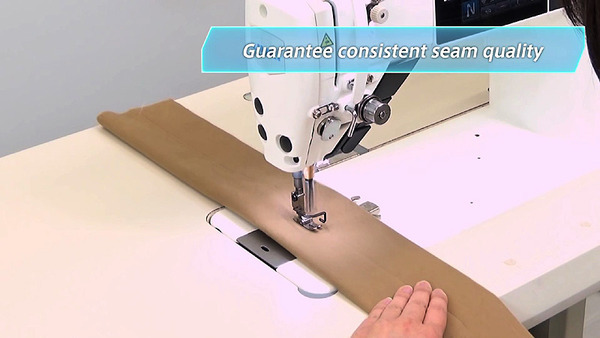 For sewing plants which produce diversified products using different materials this feature is quite helpful to achieve stable seam quality without time wasted on manual adjustments. 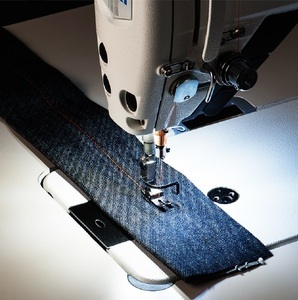 Thanks to the world's first vertically-driven digital feed mechanism, the feed dog height can be adjusted with ease in accordance to the material being sewn. 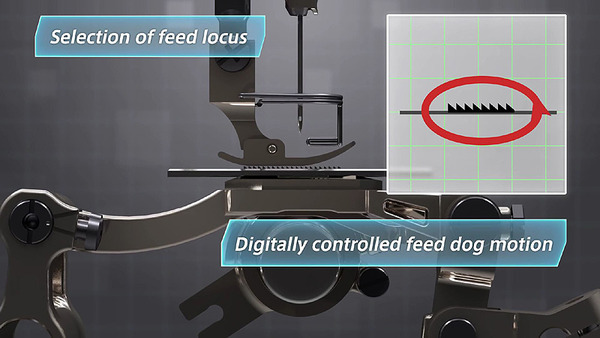 Thanks to this digital feed mechanism thread trimming is carried out with the feed dog lowered which results in a stable remaining thread length. Also because the feed dog does not protrude above the throat plate when the sewing machine stops it avoids the material from being damaged by the feed dog. A both-blade driven rotary knife system is adopted. the knife intersects with the thread to trim it just beneath the needle entry point. Since the knife ensures constant length of needle thread, the length of thread remaining on the material after thread trimming is, unlike thread trimming with the thread tensed, also constant. 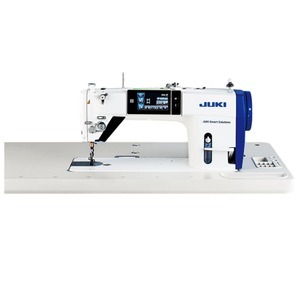 The Juki DDL-9000CFMS inherits JUKI’s thread trimming technology to allow the thread trimmer to start up as soon as the pedal is depressed. 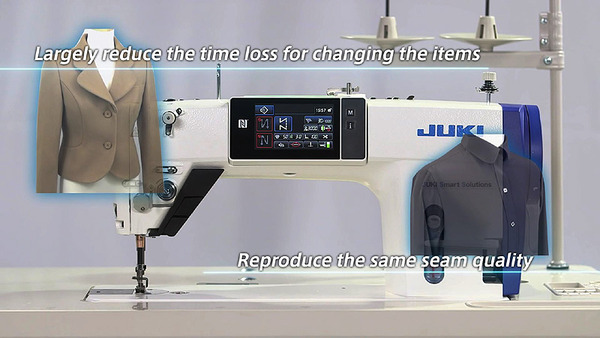 Commitment to “seam quality”is poised to enter a new era with JUKI ’s next-generation sewing system. The change is driven by digitalization. Until recently, sewing machines have been adjusted by human operators based on personal hunches and experience. suit the materials being sewn. Needle thread tension which matches sewing conditions given can be set on the operation panel and stored in memory. The needle thread tension adjustment needs experience. 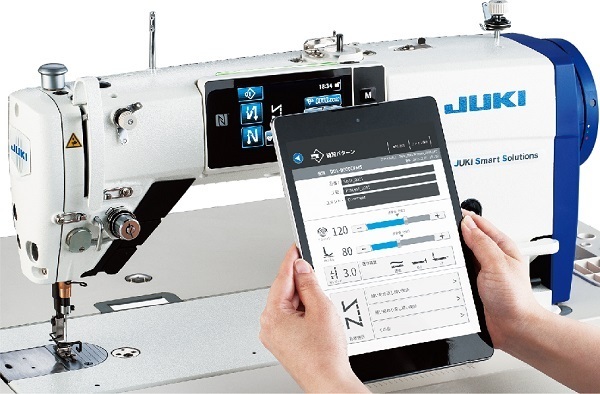 However, for this sewing machine, thread tension data stored in memory is reproducible, thereby reducing the setup time when the product to be sewn is changed. 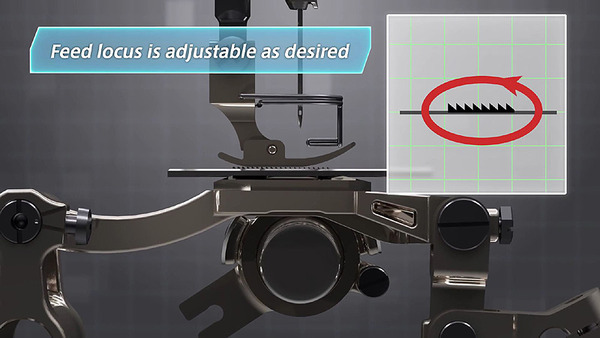 Exampl e : Needle-thread active tension demonstrates its effectiveness in the top stitching process. For welting shoulders of a difficult-to-sew material, uniform stitches can be produced continuously by appropriately changing the sewing conditions even if the right and left material fabric differ in texture grain. 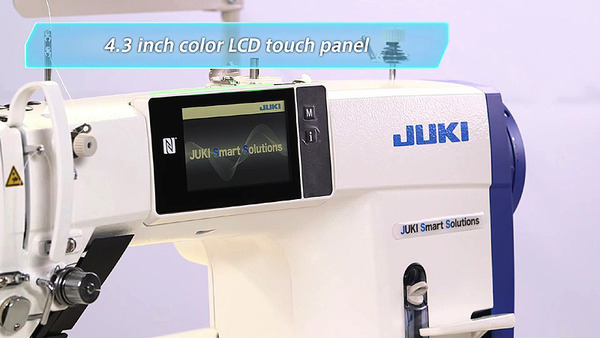 JUKI has launched its new direct-drive, high-speed, lockstitch sewing system with automatic thread trimmer - the DDL-9000C. This is the newest flagship lockstitch machine from the world’s largest industrial sewing machine manufacturer. The machine has been digitalized to allow for easy adjustment of settings such as the feed mechanism, thread tension and the feed locus, all through the operation panel. Perfect parameters needed to achieve a high quality seams can be achieved digitally and key conditions do not need to be manually adjusted. Thanks to the digitalization, optimum adjustment values required to produce high-quality seams can be stored on a material-by-material basis in the machines internal memory and can be reproduced with ease. For factories which produce diversified products using different materials, this feature is quite helpful to achieve stable seam quality in a time efficient manner. Can be programmed with tablet, but tablet not included.